A photo of Alex gives me great insight as to where his injury prone areas may be. In my spare time this morning I did my best to find out how Alex Wong “ruptured his Achilles Tendon” to further investigate how something like this could have been prevented. Had his spring nearly sprung? Is it the result of improper technique? Or did he merely land wrong? The articles that I found were quite vague in their description of the incident so I am hoping that there will be more to come in the next few days. My next thought: was Alex in pain prior to the Achilles rupture? Did he have chronic Achilles Tendonitis, a nagging long-term injury that some dancers suffer with their entire careers? Many dancers push through injuries in order keep their status in companies thinking that the injury will heal itself and get better. Us stubborn dancers think that we can change the reality that rest is the only thing that will truly heal an injury. In my ballet summer studies at Chautauqua I remember hearing stories about New York City Ballet Dancer Jean-Pierre Bonnefoux rupturing his Achilles, but I don’t know for a fact if he returned to dancing after the injury. I am confident that Alex will dance again. 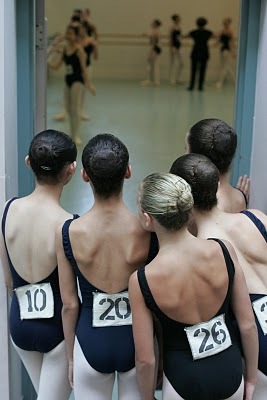 I guess my message in this blog post is this: Dancers, be smart. Take risks, but don’t risk your career thinking that you can triumph over pain. You cannot mask injuries. Trust me, it will bite you in the behind. Not to say that I know 100% that this is the reason for Alex Wong’s injury, but I have a sneaky suspicion that it may be the case. Hopefully more details will be available to the public soon. It’s all you hear about in the news, and it has effected the Dance Community. Even worse yet, no companies are hiring for the 2009-2010 season discouraging potential professional dancers from persuing their talents. What do you do when this happens to you? How do you survive when you are laid off and have no place to dance? I have experienced this first hand as the company that I dance for had to cancel it’s February show of Coppelia due to lack of ticket sales. Instead of complaining about something I couldn’t control, I decided that I needed to do what was in my best interest. You can look at these periods of layoff as blessings in disguise. Come on, you know you can’t dance forever, so this is the perfect opportunity to discover your other talents. Take this time off to enroll in a college class, pass on your knowledge by teaching dance, or think about heading off to a new company. I have taken this wonderful opportunity to continue to develop my Personal Training business. Over the two months that I have been laid off from ballet, I have been able to sign on 10 new clients, create videos, and work on my marketing campaigns. Be proactive. Don’t let these hard economic times get you down! Develop your other interests and begin paving a path to your career transition after dance.